A blend of the company's oldest reserves, this rum is something else. Selected rums aged for long years in the Caribbean are painstakingly blended by our cellar master at Chateau de Bonbonnet then matured in small French oak casks for a further 12 to 18 months. Double aging gives the rum an incomparably round and creamy palate. 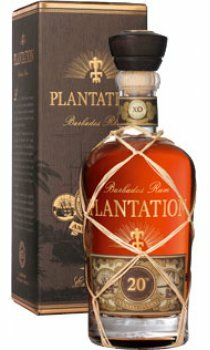 The colour of old mahogany, Plantation XO 20th Anniversary reveals a nose with exotic notes of sugarcane, oaky vanilla and toasted coconut, enhanced by more complex aromas of cocoa, candied orange and cigar box. To be enjoyed slowly, with or without a cigar. This rum needs a cigar with lots of flavour, but also some balance. The Flor de las Antillas Toro (Nicaragua) makes a lovely paring, with its coffee bean notes, hearty wood and backing sweetness.